In 1998, when Ryanair introduced their third route to Paris Beauvais and Matthew Hudson sold the airport to Stagecoach Group, nine of our current workforce joined the team at Glasgow Prestwick Airport. Today, Thursday 06 December 2018, we celebrated their commitment and dedication to the airport by recognising these employees with some festive snacks, refreshments and a presentation from the Directors. “I started working at the airport in November 1998 within the Passenger Handling team then moved into Aircraft Dispatch in 1999 where I am currently. “My most memorable moment over the past 20 years has to have been the G8 Summit in 2005 where I got to see Airforce One close up, the American President and all the other leaders of the world. “I started at the airport in August 1998, working at Skye Travel selling flights, at the time, to our only three destinations – London, Paris Beauvais and Dublin. Then in 1999 a position became available in the Business Development/Commercial team, I decided I wanted a change and still work in this department today. “Over the years I have seen various changes and challenges. One of my most memorable moments is the UEFA cup final in Glasgow 2002 where we handled many of the supporter flights for both teams Bayer Leberkusen of Germany and Real Madrid of Spain. It was an extremely busy 24 hours. 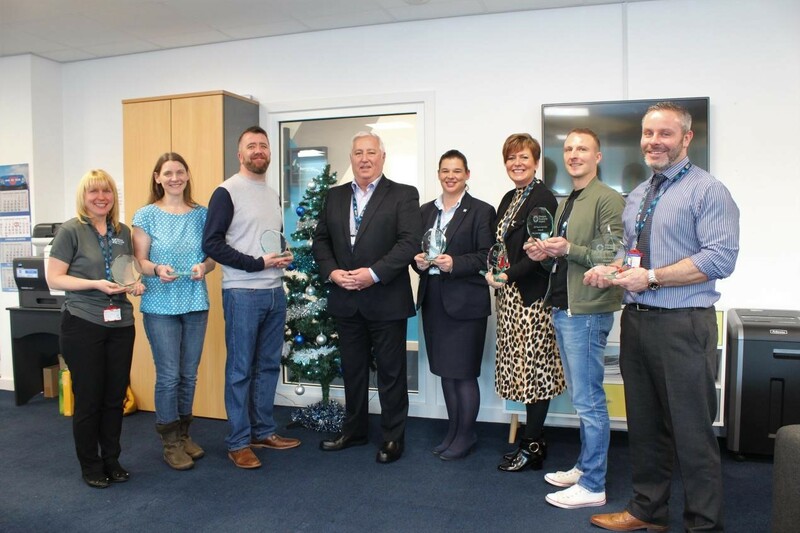 “Our long-service celebration recognises employees who have 20 years’ service within the organisation. We are very proud to have such loyal and committed people representing Glasgow Prestwick Airport.